MUNCHY’S CHOC-O is the latest innovation from MUNCHY’S that features a crunchy chocolate chip cookie topped with a delicious chocolate drizzle. 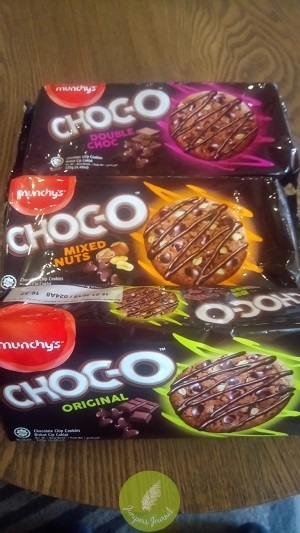 The delightful bite-sized chocolate chip cookies are available in three different flavours which include Original – for those who are true chocolate chip fans; Double Choc – for those who call themselves chocoholics and Mixed Nuts – for those who are real nutty and adventurous about their lives. 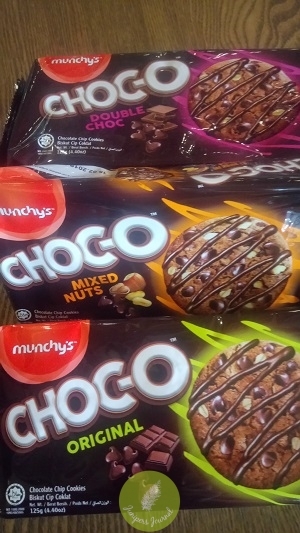 MUNCHY’S CHOC-O is created for those who wish to indulge and pamper themselves with a tempting treat. They come in 3 different pack sizes which are 78gm, 125gm and 235gm (easy packs) priced at RM2.30, RM3.60 and RM7.80.